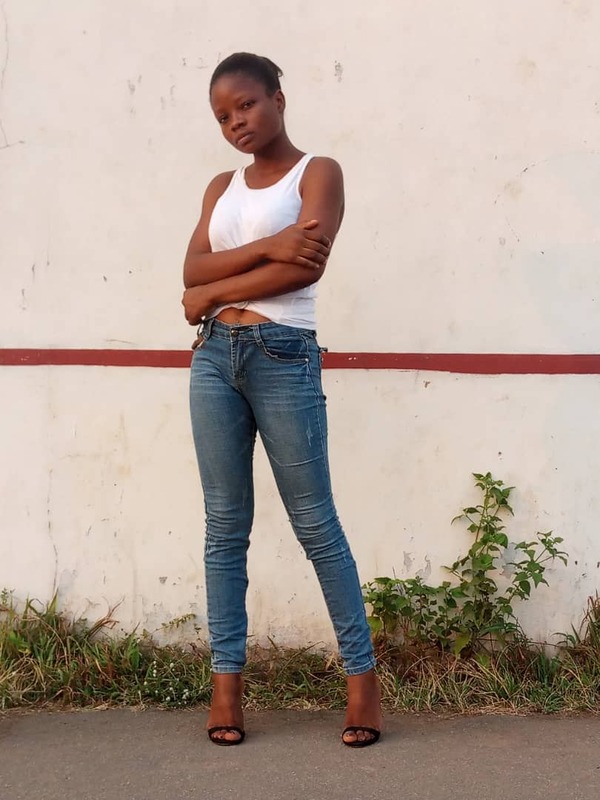 ''Please see a brief story on my Dad's scam experience, this happened on Thursday, 28th July. 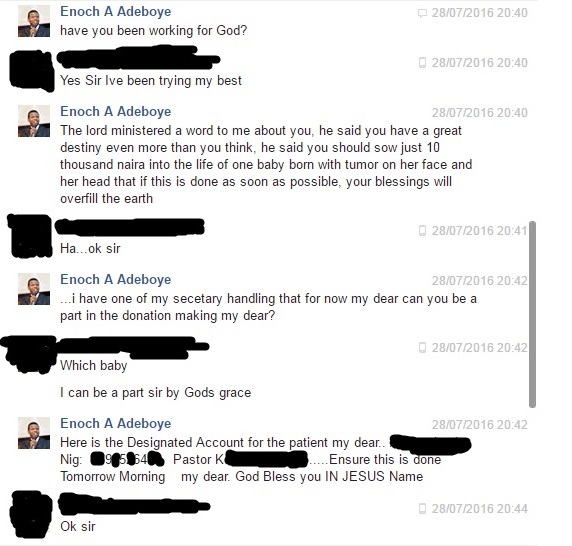 I have also attached images of my conversation with the fraudster. Please help publicise through your blog. 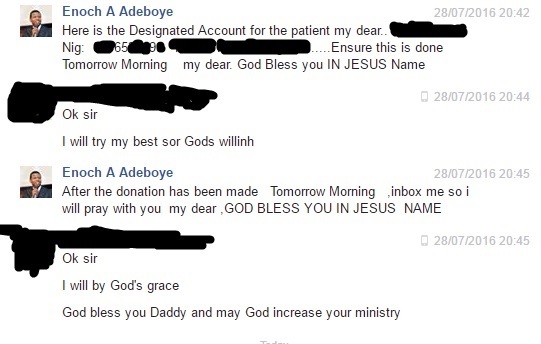 .My Daddy, (A pensioner in his 60s) got scammed yesterday by a man claiming to be Daddy Adeboye of the Redeemed Christian Church of God. 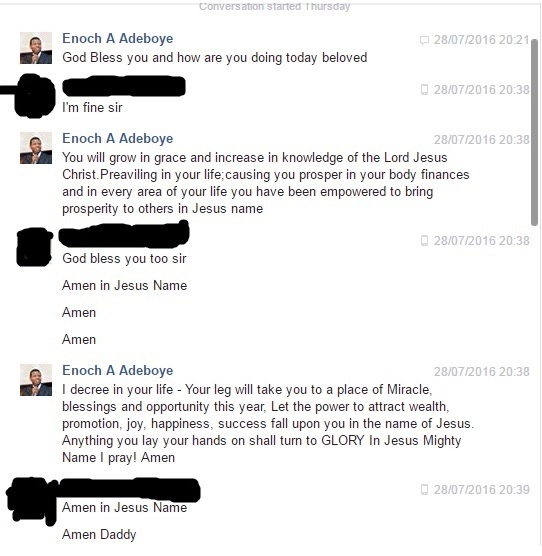 I have observed that a lot of these fraudsters are on social media under the guise of prominent individuals like Pa Adeboye. Please Nigerians, let's be a lot more careful in our association with people, and our quest for miracles or prayers especially on social media, as most of these accounts are FAKE. Remember, we are 'small gods'. God can answer our prayers if we cry out to him with our own little voice. My advice to all prominent individuals/Nigerians is also that they get their social media accounts verified, for many of us who might not know what this means, it is a little tick beside a prominent individuals's profile on social media (Facebook, Instagram, Twitter e..t.c) that validates the authenticity of a particular account. Once this individual's account has this tick, all other accounts are considered FAKE.